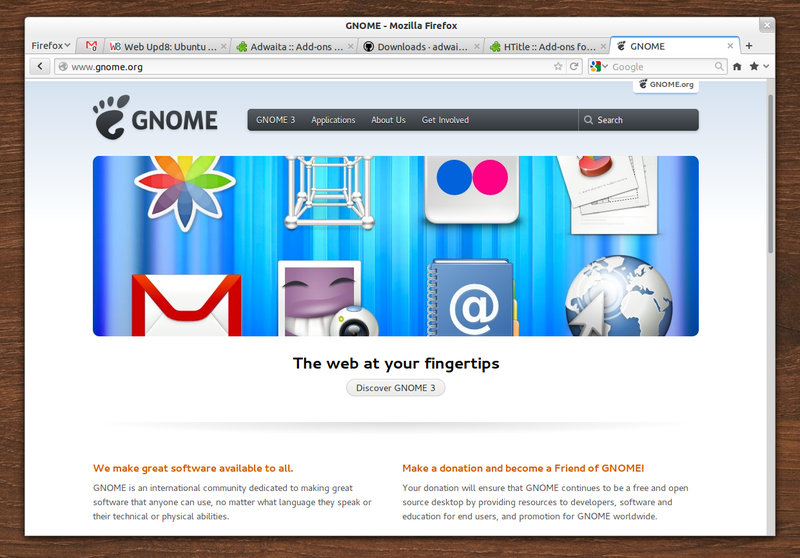 Adwaita for Firefox is a theme designed to integrate Firefox with Adwaita, the default GNOME 3 theme. 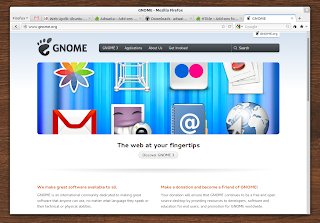 The theme features GNOME 3 like tabs, a toolbar like the one used in the latest GNOME 3.6 and many other tweaks. Adwaita theme for Firefox 15 has been released recently and was submitted to addons.mozilla.org but it hasn't been approved yet so for now, you can get it from GitHub. To install it, download the .xpi file, then drag and drop it from Nautilus onto the Firefox window. For a full GNOME 3.6 experience, you may also want to install HTile, an extension which hides the Firefox titlebar when the window is maximized, just like the new behaviour for the default GNOME 3 applications.